Jean Chrétien For Prime Minister. We’ve decided to pull out all our old Canadian Political Campaign buttons over the course of the 2015 federal election. We have a lot of goodies to show off, some funny some historic but all very familiar to the average Canadian. This guy should need no introduction! Jean Chrétien was said to be one of Canada’s toughest Prime Ministers, a street-fighter with fine political instincts. Chrétien was an MP for 40 years and led three consecutive Liberal majority governments. Jean Chretien governments gave Canada liberal social policies and a healthy Canadian economy, including elimination of the deficit. In its later years the Chretien government was marked by scandals over mismanagement and by a split in the Liberal party as Paul Martin pushed to take over the job of prime minister. 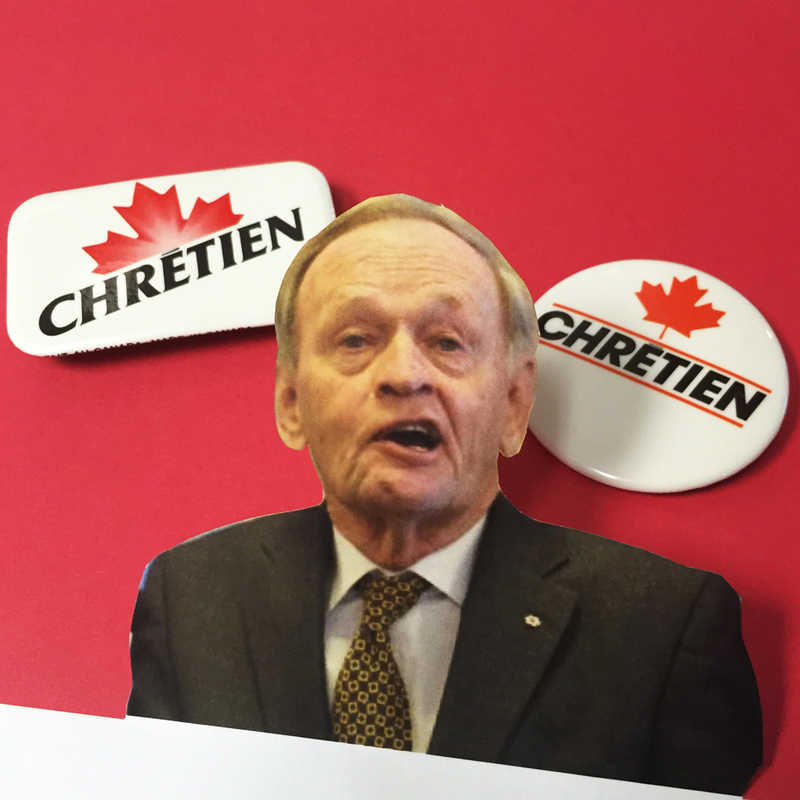 The early Jean Chrétien election buttons from 1993 are from our political pin back button collection.